Some people are blessed with all the good things in life, while others struggle every day of their lives. Good luck is always in short supply. Take a walk in the inner city and you will encounter the poor, the sick and the homeless. The compassionate among us want to reach out and help, but do not know where to begin, or how to go about it. The sheer number of those in need is daunting. But not all who need help are found on the streets and back lanes of the city. There are many middle class families living in suburban homes who are in dire straits. Who can tell what tales of misfortune lie behind the front door and within those walls? Having a car parked in the front porch does not always reflect the true financial situation of the families occupying those houses. The smiling faces we see in social settings may hide untold tragedies in their lives. It was against this backdrop that Siew Lim and I from SeniorsAloud team visited Elaine Khaw last Friday afternoon (14 July). 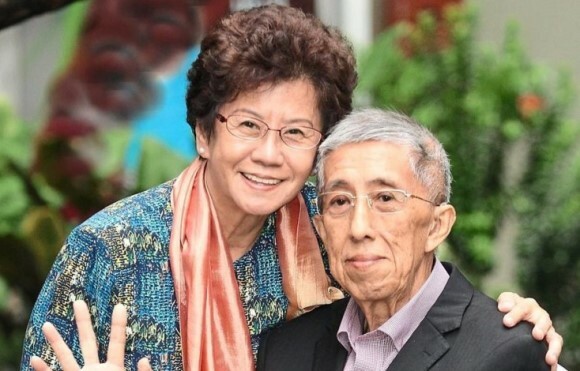 Two years ago I had read in an online article 'Malaysia's Forgotten Music Man' that well-known musician Datuk Ooi Eow Jin had been diagnosed with Alzheimer's. His wife Elaine had been struggling to look after their elder son who had brain tumour. Now she had the added responsibility of caring for her husband as well. Moved by the story, I made attempts to contact Elaine to see how SeniorsAloud could help. But my efforts were in vain. All my calls went unanswered. Then out of the blue, about a fortnight ago, Siew Lim said she had met Elaine recently at a teahouse, and had her contact number. 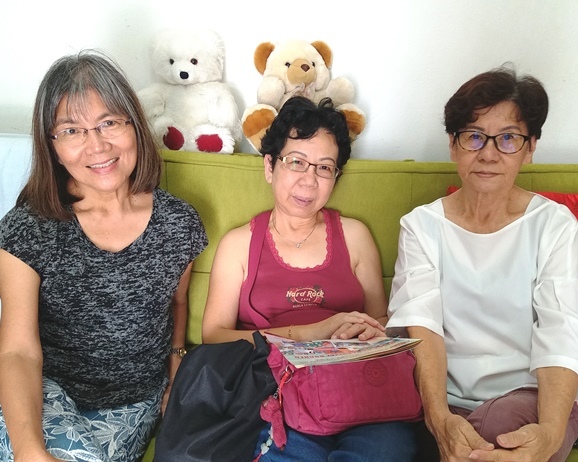 We made plans to visit Elaine at her home in Petaling Jaya. Reaching out to Elaine was always on my mind. 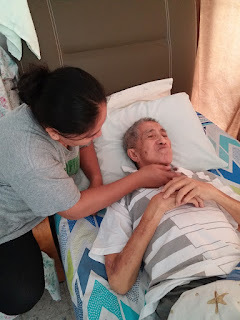 My mom has Alzheimer's so I knew what she must be going through as a caregiver looking after the two men in her family. Prized photos. 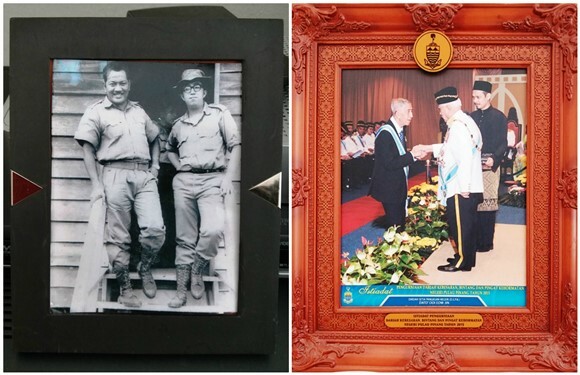 (Left) Ooi with the legendary P. Ramlee, and (right) receiving his datukship from Yang di-Pertua Negeri Tun Abdul Rahman Abbas in Penang in 2015. 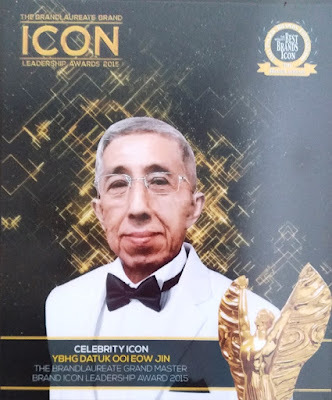 For those not familiar with the story, or with Ooi Eow Jin, his name was synonymous with the RTM orchestra for 17 years in the 1960s and 70s. 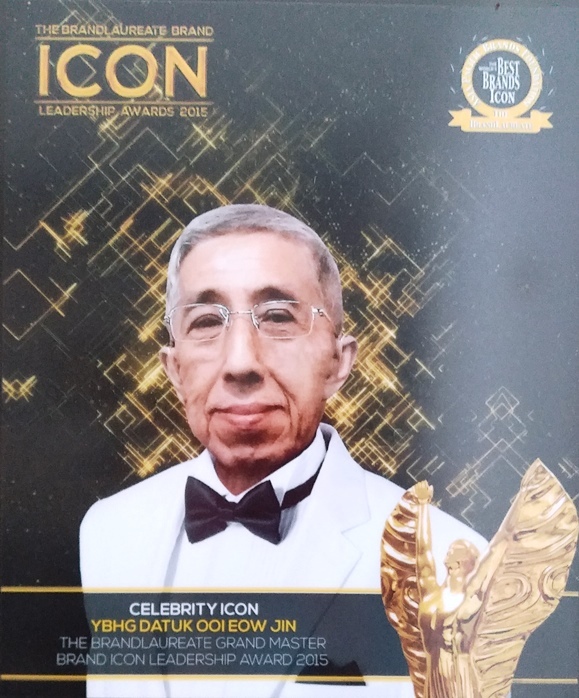 He gained fame as a songwriter and composer of some of the most popular Malay songs of that era. His checkered career also included 13 years with TV3 and a short stint as a lecturer at Universiti Putra Malaysia, Universiti Teknologi Mara and International College of Music. His last job was with Majestic Hotel where he was the resident pianist for five years. Ooi entertaining guests at a 2015 charity concert to raise funds for his family. Those heydays of playing music and recording songs with some of Malaysia's top entertainers like Sudirman, P. Ramlee and Rafael Buang are long gone. The years have passed but Ooi never stopped playing music. It was his only means of supporting his family. Fate dealt him and Elaine a double blow when they lost their younger son, Leong Seng, to leukimia at age 23, and their elder son, Chin Seng, now 53, had brain tumour and required two surgeries. To add to their misfortune, Ooi was diagnosed with early Alzheimer's Disease. 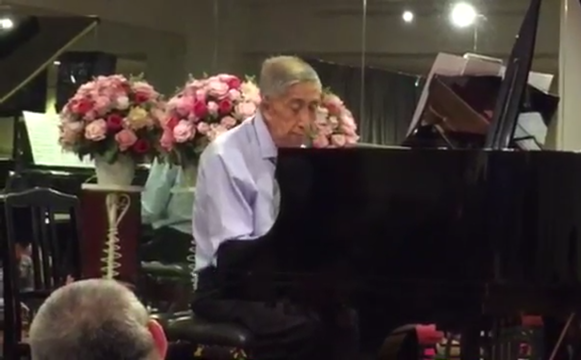 This put an end to his piano-playing days at Majestic Hotel in June 2015. He has been jobless since then. He turned 80 last month. Although able to move about, father and son spend most of the day in bed watched over by Elaine and the maid. The heavy burden of caring for her husband and her sons has left a toll on Elaine. The mental and physical stress is evident. Hanging on the wall of the living room is a portrait of Elaine, still beautiful at age 58. Now, at 78, she has lost much of that joie de vivre. As I spoke with her, I could see the bags under her eyes and the deep lines on her face. I am taking medicine for depression, she tells me. Elaine has a maid to help her look after the two men during the day, so she could take a break or go out to run errands. But she is entirely on her own at night to watch over Ooi and Chin Seng. Ooi's Alzheimer's has worsened. Chin Seng has problems with his vision after a recent surgery, and has lost his sense of balance. 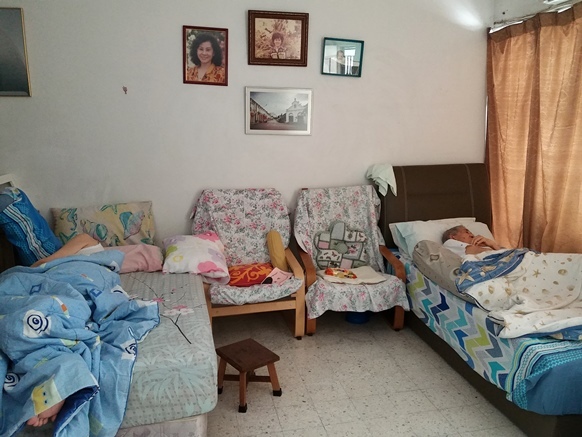 The living room has been turned into a bedroom, and Elaine sleeps on the sofa nearby. Elaine's friends and neighbours as well as Ooi's former colleagues at RTM and TV3 organized two charity concerts in 2015 to raise funds for the family. Without a steady income and with rising monthly expenses for medicine, food and diapers, the funds raised are fast being depleted. Elaine has to fork out RM120 a day for the maid, an expense she can ill afford but necessary as having someone around to help allows her to take a break.